Meng Hongwei's wife reported him missing on Friday. PARIS — The president of Interpol has been reported missing after traveling to his native China, a French judicial official said Friday. 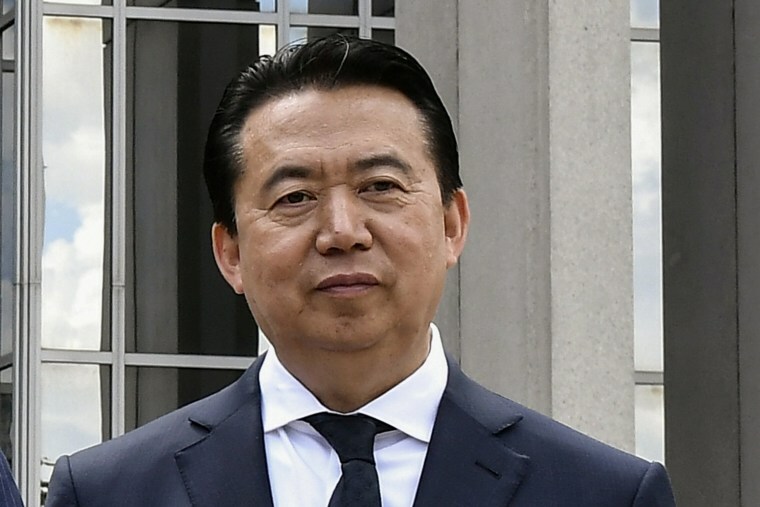 Meng Hongwei's wife reported Friday that she had not heard from her 64-year-old husband since the end of September, when he left Lyon, France, where Interpol is based, said the official, who spoke on condition of anonymity to provide details of an ongoing investigation. The official said Meng did arrive in China. In a statement, Interpol said it was aware of reports about Meng's disappearance and added "this is a matter for the relevant authorities in both France and China." The statement specified that Interpol's secretary general, and not its president, is responsible for the international police agency's operations. There was no further word on Meng's schedule in China or what prompted his wife to wait until now to report his absence. He has held a variety of positions within China's security establishment, including as a vice minister of public security — the national police force — since 2004. In the meantime, he served as head and deputy head of branches of the coast guard, all while holding positions at Interpol. News of the investigation into Meng's disappearance came during a weeklong public holiday in China. In Beijing, the foreign and public security ministries did not immediately respond to calls and faxed requests for comment Friday. Meng's duties in China would have put him in close proximity to former leaders, some of whom had fallen afoul of President Xi Jinping's sweeping crackdown on corruption. In particular, Meng likely dealt extensively with former security chief Zhou Yongkang, who is now serving a life sentence for corruption. Xi has also placed a premium on obtaining the return of officials and businesspeople accused of fraud and corruption from abroad, making Meng's position all the more sensitive. When Meng was elected in 2016 as Interpol president, rights groups expressed concern that he would pursue an agenda of politicized policing that targeted Xi's opponents.